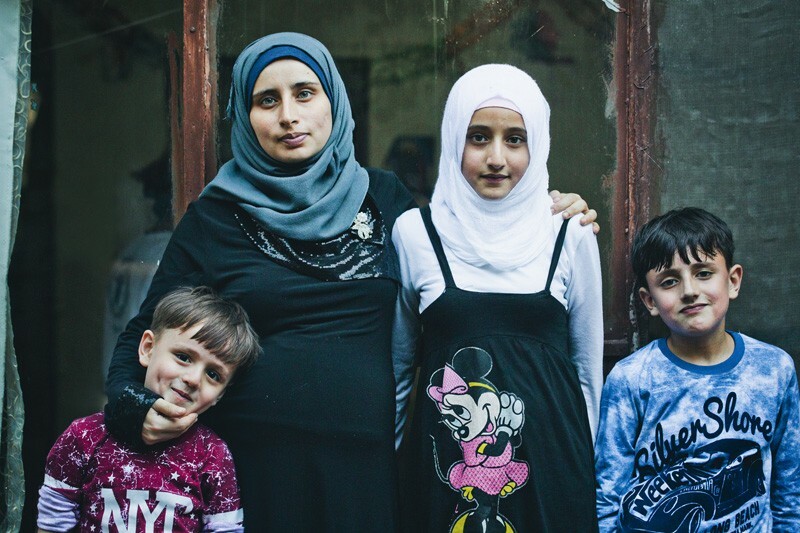 Today we are sharing the story of Suad and her family. 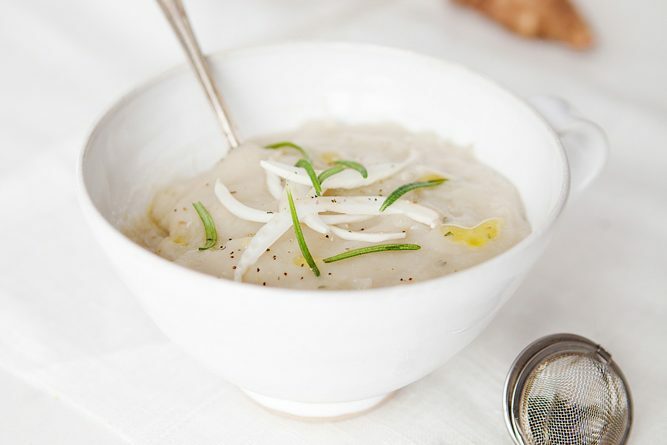 As well as her recipe for this yogurt and rice soup. 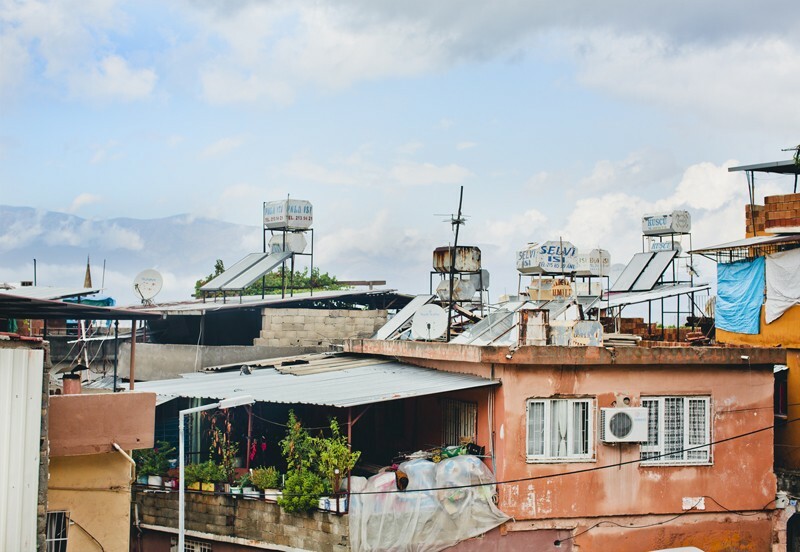 Suad is one of the 2,7 million Syrian refugees currently living in Turkey and this post is about bringing attention to their plight. I shared this story on instagram but wanted to take the opportunity to do it here as well. 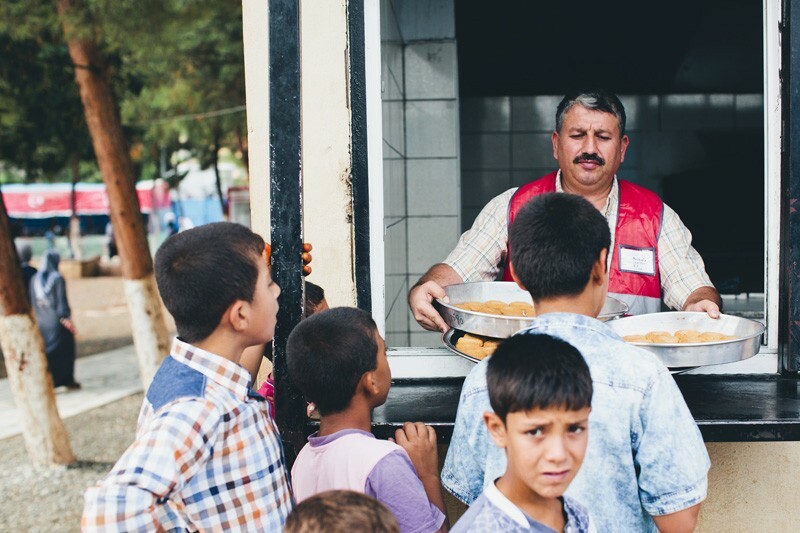 The United Nations World Food Programme (WFP) and the European Commission asked if we would be interested in meeting Syrian refugees living in and outside of camps in Turkey to bring home some of their stories, learn how modern food aid is working and explore the different aspects of food. It was doubtless the most meaningful request we have ever received and something we really wanted to do. Timing wise it wasn’t perfect as I had to leave Luise alone with the kids while she was 36 weeks pregnant. But she gave her blessing. So a few weeks ago, I went on this mission. I flew to Istanbul, Turkey on an early flight and then on to a domestic flight to Hatay, a few miles from the Syrian border. During my days there, I visited a refugee camp to see how it works and talked to some of the people living there. I got to know the WFP staff and was amazed by their compassion. I was also invited home to a few Syrian families living outside of camps. Their situation is often a lot more difficult than inside the camps, as they have more costs and less support but the families were incredibly friendly and inviting. We talked, drank tea, cooked together and shared food. Apart from Suad, I have also shared Emira’s story on instagram. As well as the story of Semira, who works as a Field Monitor Assistant for WFP and is one of the strongest and most loving persons I have ever met. I have also written about the E-cards that WFP have developed with help from the European Commission to support refugees and give them the ability to shop and choose food themselves. The trip was part of a initiative that WFP call More Than Food. Pauline and Rens will also be going on similar trips. Here is a short video that explains the project and the E-card a bit more. It is very easy to look away from the horrible situation that is going on in Syria. But I hope that by reading these stories that do have bright moments in the midst of all the darkness, you will get a better understanding and openness towards the millions of Syrian people that have been forced from their homes and don’t wish anything more than being able to return to them one day. These people need to be heard. They are in my heart now and I hope they will be in yours too. It was a very emotional trip and it affected me a lot deeper than I was prepared for. I am still trying to figure out what to comes next. Obviously, we want to continue working with recipe development and food photography as it is something we love doing. But it’s my hope and intention that we also will continue working more actively with human aid and support this cause any way we can in the future. Enough about this. Here is Suad. This is the story of Suad. She is Syrian and fled from her home together with her family when the conflict came to her town, 4 years ago. 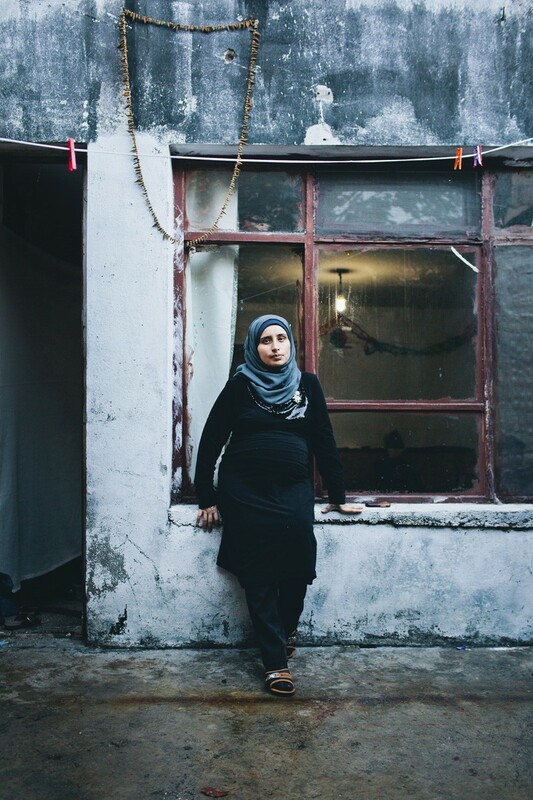 Suad is nine months pregnant and lives with her husband, their two sons Ahmed (10 years) and Muhammed (6 years) and their daughter Nurulhuda (12 years) in a small one-bedroom apartment in a rundown building in the old town of Antakya in Turkey, close to the Syrian border. Her parents and sisters live in an apartment one floor up. Her husband now works as a tailor so they can pay the rent. Even though they have lost everything, Suad is not broken. Her strength and pride really got to me. They can’t afford decorating their home but have instead made paper and textile decorations and drawings that are covering the walls inside, making it less a lodging and more of a home. I had the honour to be welcomed into her home and I spent a day together with her and her family, listening to their story, drinking many cups of tea, going to the supermarket and preparing a dinner together. I was invited into Suad’s kitchen to assist her in dinner preparations. There were no marble countertops. And no glass doors. But she still placed her best looking glasses and plates on the shelf above the sink, hiding the rest behind a curtain her husband had sewn. Due to the small space, we did all chopping and preparations while sitting on the living room rug. The family laughed at my difficulties sitting with my legs crossed on the floor doing the chopping and they kept telling me that the tomatoes needed to be more finely chopped for the tabbouleh. Her mother also pointed out that I had very thorough knife skills (meaning slow). We prepared a Syrian version of Tabbouleh with cucumber, tomatoes, lemon, lettuce, fresh parsley, fresh and dried mint, pomegranate syrup, tomato paste and a finely textured bulgur. We also did a delicious yogurt, rice and mint soup called Lebeniyye, a fried eggplant dish with tomato sauce called Mutabbaqa and a vegetarian version of Kepse, which is a flavorful long-grain rice dish topped with toasted almonds and walnuts instead of meat. (4/5) Me being a man, a stranger in their house and also a foreigner, I was aware that my visit would be an awkward situation and a difficult environment for everyone to be relaxed in. And the first hours of conversation were quite honestly very polite and trembling. But something happened when we started cooking. Once we gathered around the ingredients and Suad started explaining the dishes we were making, she suddenly began smiling. In the complete sadness of their situation, food definitely brings out a spark of joy. It connected us. In-between exchanging chopping boards and mincing vegetables, they suddenly started asking me questions about how we eat in my country, how my kitchen looks and how we take care of the elderly in our families in Europe (her father gave me a disapproving mutter, when hearing my response). We started sharing photos of our children and all of a sudden, we weren’t strangers anymore. We finished preparing the last recipe just as it got dark outside. Nurulhuda placed all the food on a large tray on the rug in the living room. Suad invited her children, parents, all her sisters and even the driver of our car to join. And with one spoon each, we all shared from the same plates. It is a very intimate way of eating, sitting on the floor, dipping our spoons into the same bowls of soup. They also ended the meal with a traditional Arabic saying: “Now that we have shared bread and salt, we are like relatives”. The Syria conflict is the world’s largest humanitarian crisis since World War II. There are currently over 2,7 million Syrian refugees living in Turkey. Only about 10% are living in refugee camps and have guaranteed access to food, shelter and basic needs. 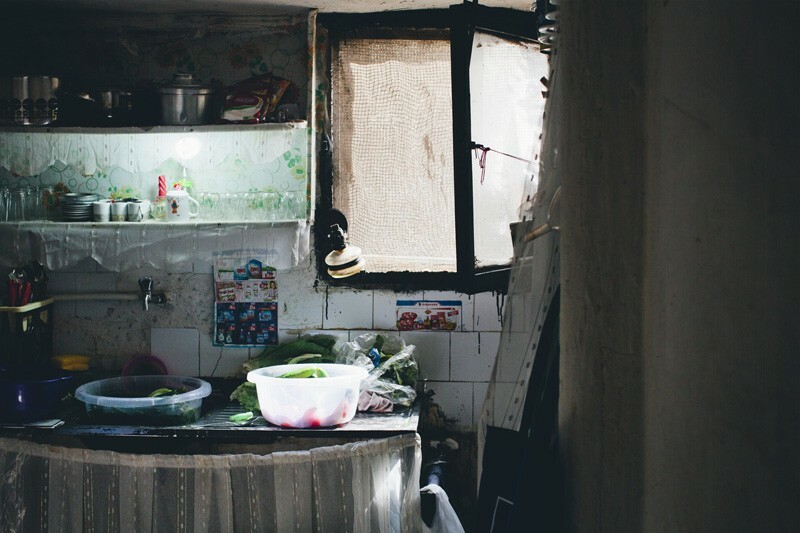 The rest are living off-camps – in small apartments, basements, garages and even caves. I was particularly intrigued by Suad’s Yogurt Soup as I had never tried anything similar before. Since I got back, I have now been cooking it a few times. 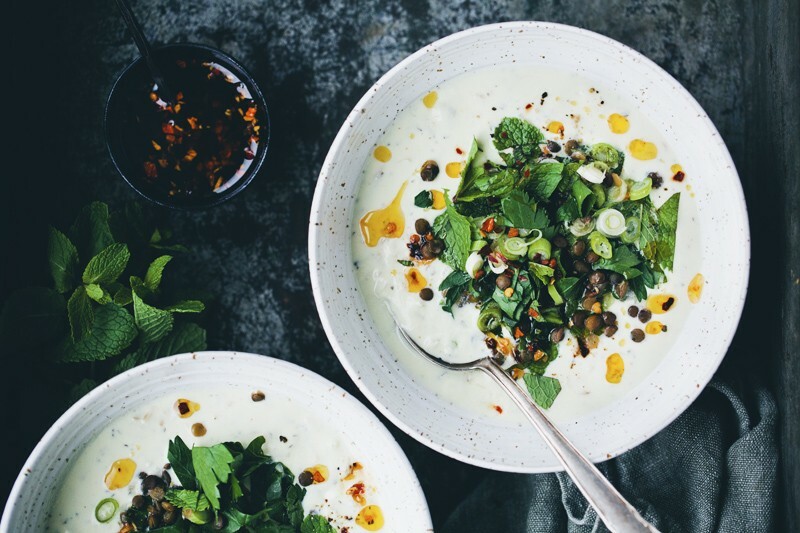 Warm yogurt might sound awkward but I found its tanginess really tasty when combined with the mint and rice. Suad served it more as a starter (traditionally I believe it is served with meatballs) but I have taken the liberty to add a bit more topping to make it even more nourishing and flavourful. Suad also cooked the rice and yogurt together from the start but I found that if you don’t stay focused and stir continuously, there is a risk that the yogurt will curdle. So I instead cook the rice until it’s almost done before slowly stirring in the yogurt mixture. Make sure to check the cooking time for the rice. Our rice cooks in 30-35 minutes, but some are pre-steamed which would half the cooking time for the soup. Rinse the rice and add it to a large, thick-bottomed sauce pan along with vegetable stock and garlic. Bring to a boil and then turn the heat down slightly until it simmers. Meanwhile, add yogurt and egg to a mixing bowl and whisk rapidly until combined and smooth. After the rice has cooked for about 20 minutes, add the cornstarch to the yogurt and then use a soup spoon to ladle some of the warm stock into the yogurt mixture while using your other hand to stir (this is to slowly heat the yogurt and prevent it from curdle when mixed with the rest of the stock and rice). Then pour the yogurt mixture slowly back into the large saucepan with rice and stock while stirring. Add mint, salt and black pepper. Keep the heat on low/medium, so it just barely simmers and keep stirring slowly but frequently. When the rice is cooked through and the soup has thickened slightly, it is ready. Taste and adjust the flavours to your liking (I find that it needs quite a bit of salt to balance the tanginess). Remove from the heat and prepare the Garlic & Chili Oil. Heat oil in a small sauce pan on low/medium heat. When warm, add garlic and chili flakes, let sauté for about 45 seconds and then remove from the heat. 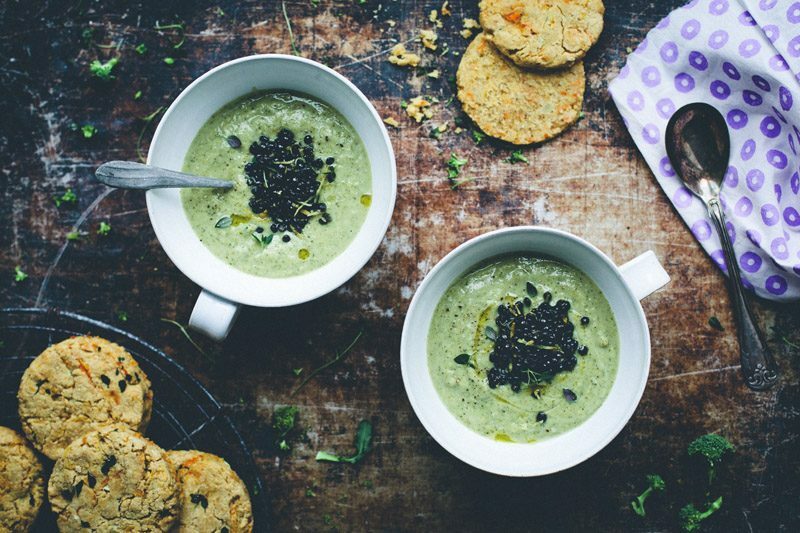 Let steep while you ladle the soup into bowls and chop the spinach and herbs. Top the soup with a generous scoop of lentils, chopped fresh spinach, mint, parsley and a drizzle of the Garlic & Chili Oil. Wow, what a great article. I was looking for recipes but didn't expect something as powerful as this. Well done you! First I Need to tell you it is so nice to see something different to try out new things in the kitchen. The other Thing is that you are really Special to share the Story of These lovely People here. Good Morning, A practical question: could greek yogourt work with it? the consistency matters I suppose.. Thank you for sharing this beautiful post! 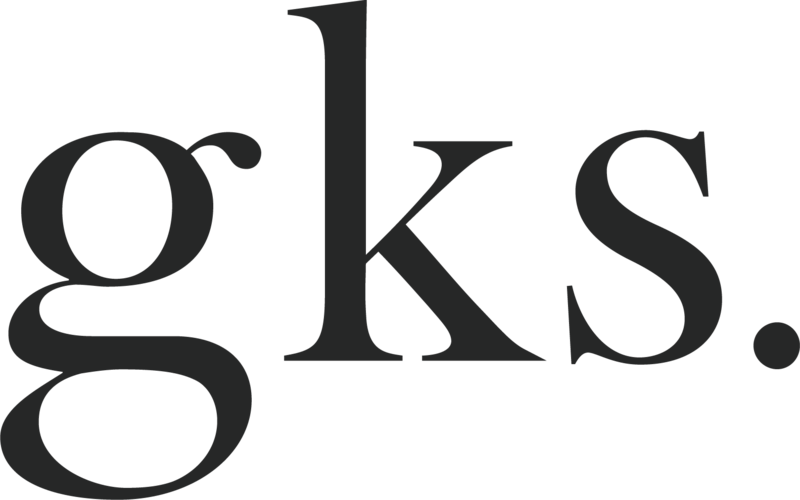 Fantastic, important blog. Thank you for sharing this. We need more stories like this, about what unifies us rather than divides us. Thank you for bringing this story (which represents so many, not only in Syria but around the world) to a larger audience. Your words and photographs are beautiful, inspiring and give a glimpse into a life unknown to most. Prior to my corporate career and life as a food blogger, I worked for the UN in Afghanistan. I lived in Kabul for a year (2005-2006) during a very tumultuous time, helping with reconstruction and rehabilitation efforts to stabilize the country. Today, 10 years later, those experiences are forever imprinted on me and profoundly shaped the person I am today. I imagine they'll be the same for you. Thank you for sharing your experiences! What a moving story. Thank you so much for sharing. We can argue about whether to be vegan, gluten free, etc. But so many people have no choice. In this world full of hatred (and as an American I can say that during our presidential race one of our candidates is filled with hate) your story is like a beacon of light. What an inspiring, moving story, especially after watching a disturbing report yesterday on the anti- regufee stance of a particularly vocal griup in Denmark( echoing of course the same stance we hear in the US from some politicians.) What I loved was the magic that came from cooking together in the kitchen. Thank you for making the trip and for sharing. By the way, there is a yogurt diup in South Adian cuisine as well. Thanks again!. This such a sad and yet uplifting story. When I cook in my little kitchen at home, I feel so truly happy, our dog watching me from his bed and the radio playing in the background. To think that could all be taken away from me, through no fault of my own is heartbreaking. I cannot begin to imagine what it has been like for Suad and her family. Thank you for sharing her story and her recipes. 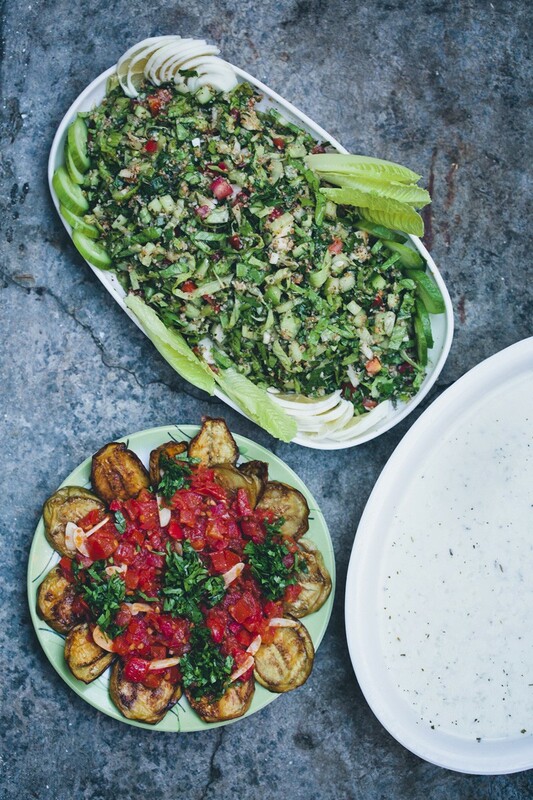 Will you be sharing the one for the tabbouleh? It looks amazing. Thank you so much for sharing this touching story.. I was really moved by your description and the connection you've established there. Thank you for bringing a bit of their culture with this recipe! Do you think this would work with plant-based yoghurt? First of all, that soup looks spectacular. 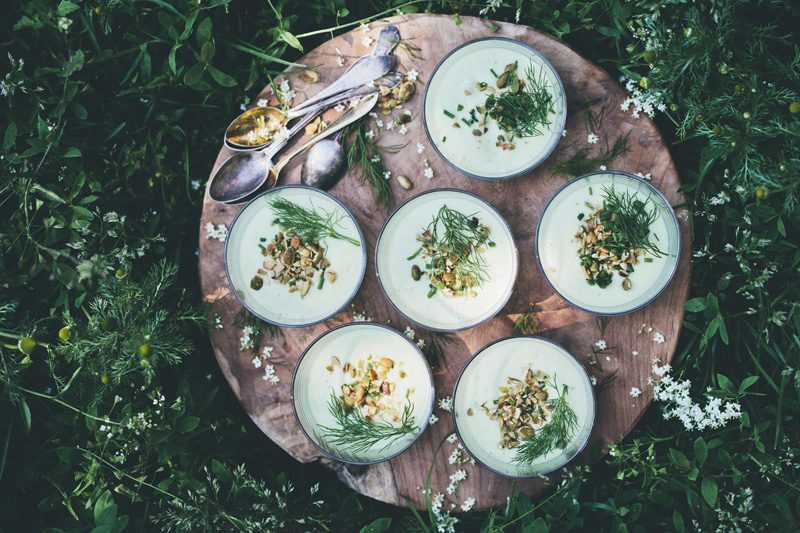 I have never heard of yogurt soup before but am very intruiged to try it. Secondly, I loved reading Suad's story, it is so important to talk about this. Thank you for sharing. 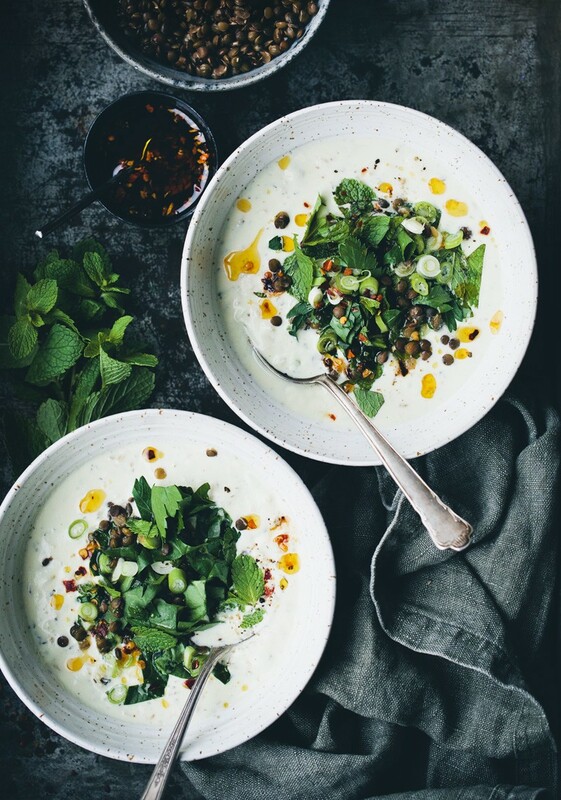 This is a wonderful post and don't you just love this yoghurt soup? I am an American chef and food blogger living in Beirut and am working with various refugee groups here in the hope that they are able to take their culinary skills and make a living with them. I am continually struck by the cheerful nature and hope that resides within all of these people - most of whom have lost everything and have no home to return to. What I love the most is how it seems when food is involved many of the existing sectarian and political barriers are broken down and we're all just human beings again. Thank you for your beautiful post and I hope you continue to share these stories. I absolutely agree how the table can bring people of all backgrounds together. Congrats to you for helping to empower refugees with a trade that makes a difference. Thank you thank you thank you. 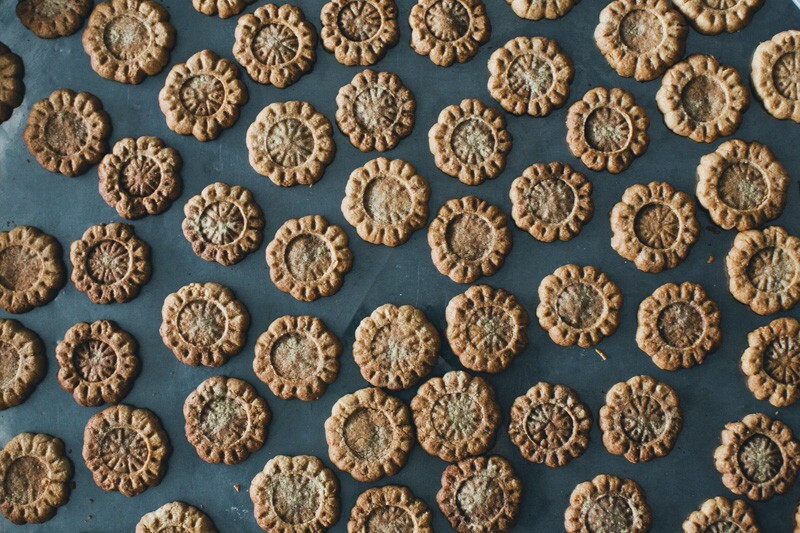 I've no words to describe how moved I've been by all of these stories and your photographs, as well as the recipe, which makes it seem so tangible and real. I struggle sometimes with how to comprehend and how to react to what I know is happening in the world, feeling so utterly powerless to change anything, not knowing whether to cry or scream in frustration and anger sometimes. Stories like this bring me back to the reality of what it is all really about: somebody else's life as precious to them as mine is to me, their struggle to live well in the face of every kind of trouble. In these stories, although they don't hide from how terrible the situations are, I was able to find an element of hope and inspiration. Thanks again. Loved this! 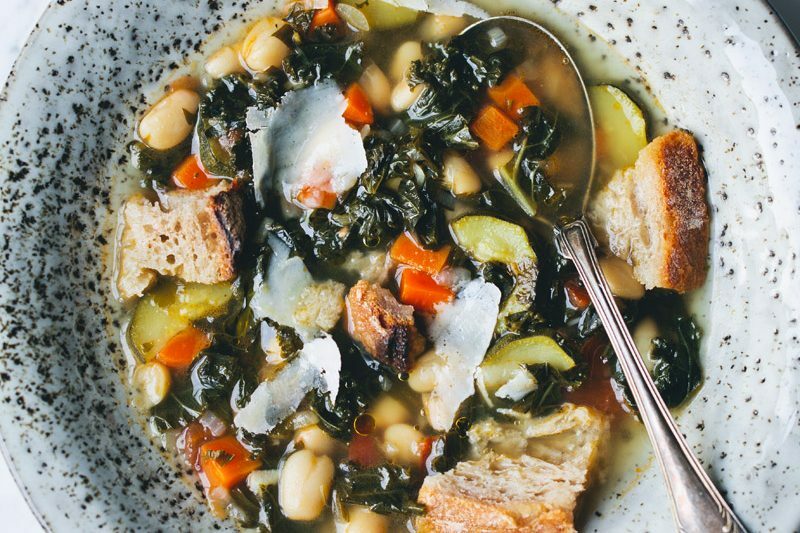 Incredible story and that soup looks magical.